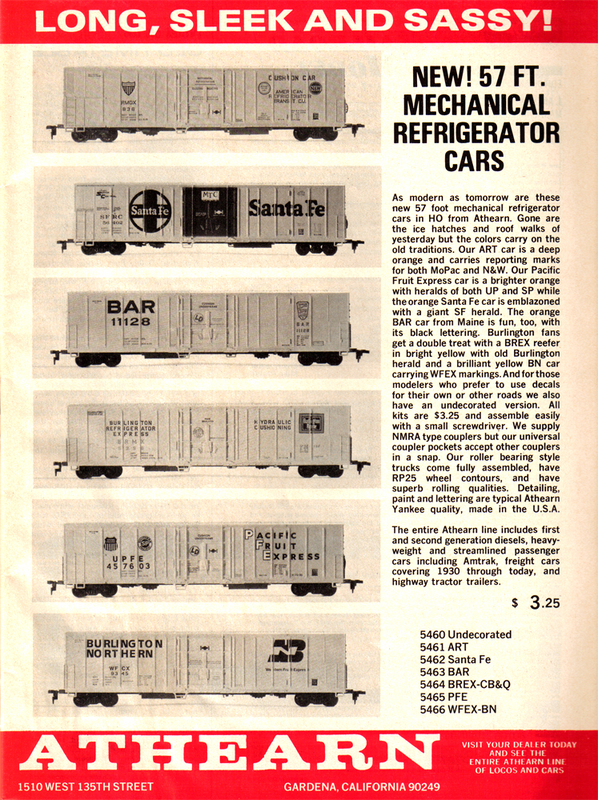 New in early '77 is Athearn's 57' Mech Reefer. 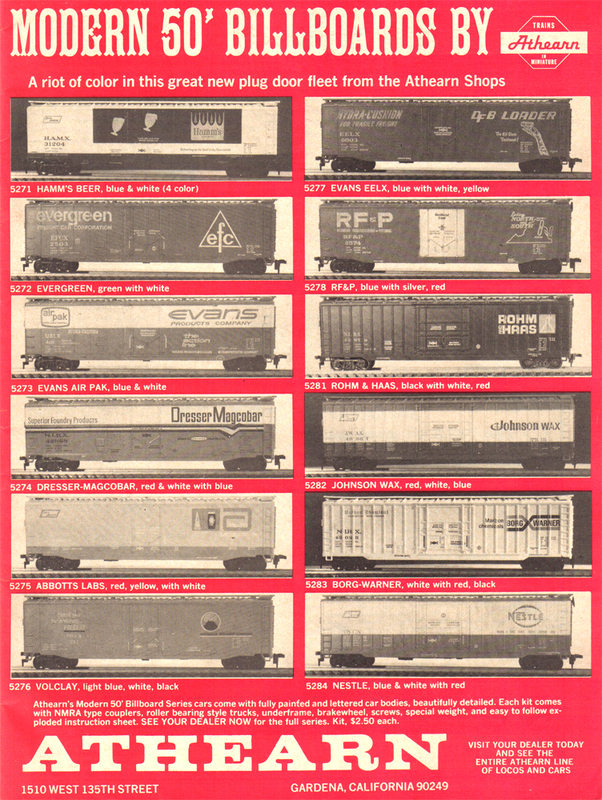 Spring 1977 brings Athearn's collection of Modern Billboard Box Cars. 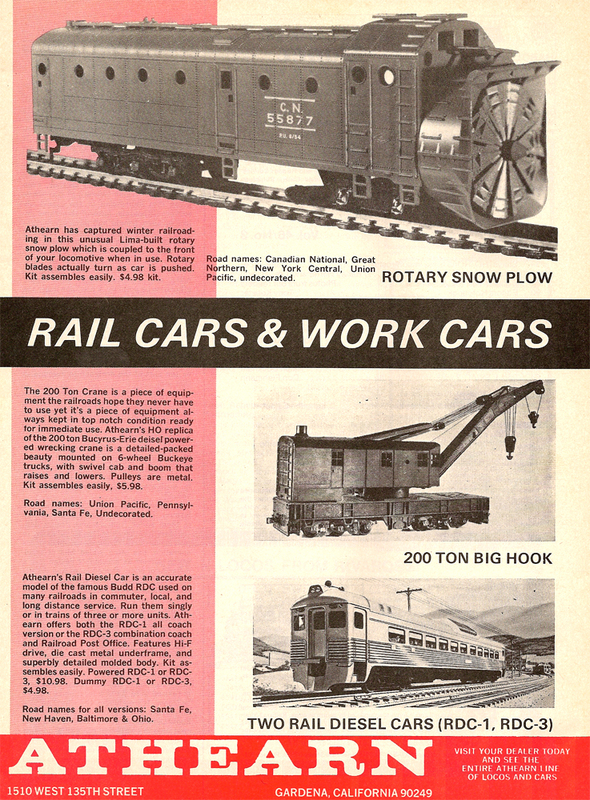 August '77's ad featured Rail Cars & Work Cars from the Athearn line.